Memorial Day traditionally is the time of year when we get ready for the Summer, and in 2018, outdoor retailers REI, Backcountry and Moosejaw promoted special sales accordingly. 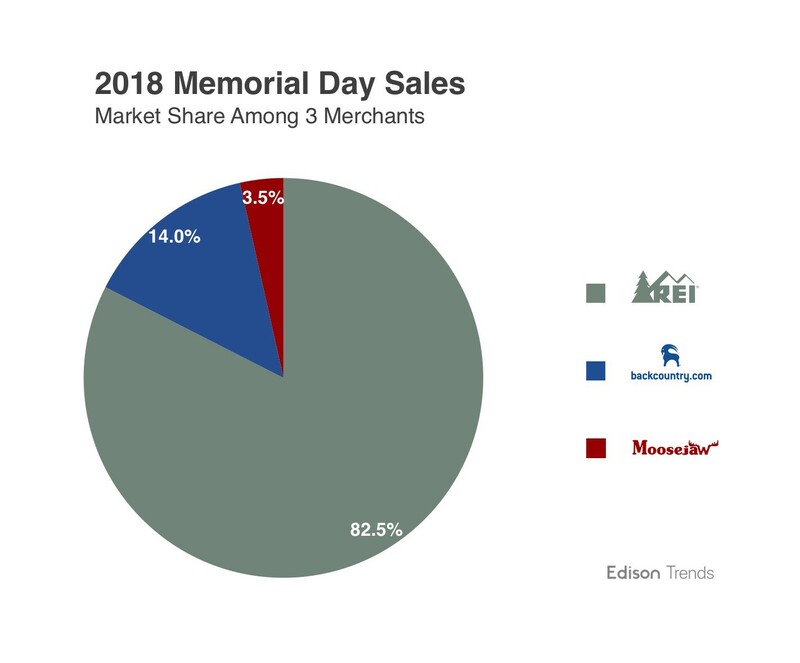 To measure how their Memorial Day sales performed for the holiday, Edison Trends examined online purchase patterns across the country. Figure 1. Which outdoor retail sale elicited the most dollars spent leading up to Memorial Day 2018 vs. 2017? Figure 1: Data shows the estimated trend in relative dollar amount spent per day for outdoor retailers between May 2–29 in 2017 and May 1–28 2018, based on the Edison Trends dataset. 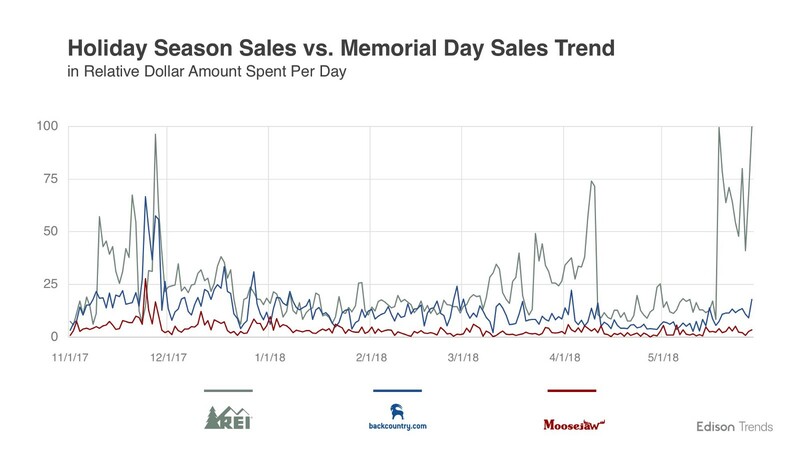 Edison Trends examined the dollar amounts spent per day across three outdoor retailers, REI, Backcountry, and Moosejaw in the days leading up to Memorial Day. We discovered that REI dominated its competitors in amount of dollars spent by customers in its special “Anniversary Sale” offering steep discounts for Memorial Day. REI’s peak days took place on the 18th and 28th, showing a 600% increase over the average dollars spent between May 1st-17th before the sale started. This is slightly less of an increase when compared to the same period last year, when Memorial Day sales dollars peaked 650%-700% higher than the seventeen days in May before the special sale started. Figure 2. Were Memorial Day sales bigger than pre-Christmas holiday sales? Figure 2: Data shows the estimated trend in relative dollar amount spent per day among REI, Backcountry, and Moosejaw, compared between November 1, 2017 and May 28, 2018 based on the Edison Trends dataset. Edison Trends discovered REI’s single best day for online sales during the previous holiday season, Cyber Monday on Nov. 27, was slightly less than its Memorial Day peaks. During their Holiday sale period of November 10–27, online sales were only about 70% as much as during their recent Memorial Day sale. Backcountry’s best day during their spring sale was nearly triple their pre-sale May average. All three companies offered at least 30% off popular brands such as Arc’Teryx and Patagonia as well as one 20% off coupon per customer. Figure 3. Which outdoor retailer took the most market share for Memorial Day Sales 2018? In terms of market share, REI gained slightly on its competitors in online sales from last year to this year. Looking at sales in dollars between just these three vendors, REI garnered about 83% of the market share, with about 14% going to Backcountry and 4% going to Moosejaw (over 100% due to rounding). This is up from last year’s spring sale, where REI held about 80% of the market share. 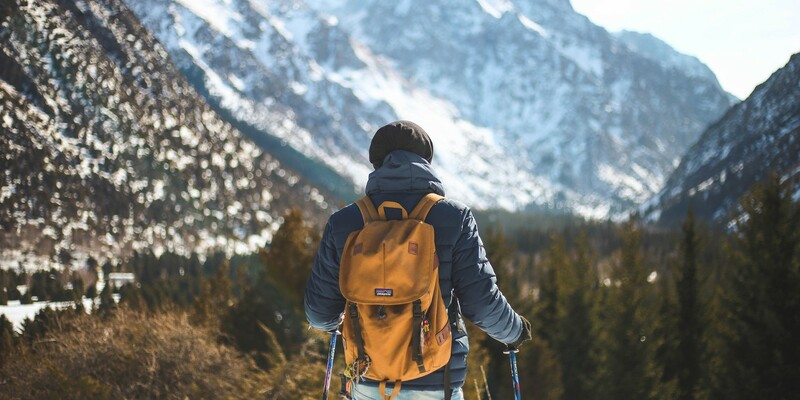 Moosejaw, which was acquired by Wal-mart in 2017 for the small company’s social marketing expertise and outdoor industry relationships, remains last at about 4% — a slight fall from last year. *Figures on graphs have been normalized. A conversion factor has been applied so that the highest sales day for each graph is given the value of 100, and all other days are adjusted by that factor, maintaining the same relationship to each other as before. E.g. 20% in a chart means ‘20% of the sales of the peak period’ (100%). **The data shown is based on a sample of anonymized and aggregated e-receipts from millions of consumers in the United States. To learn more about how Edison Trends can help your business, contact us at bizdev@edison.tech. Follow us on Twitter at @EdisonTrends. Data stories and insights on the latest national commerce trends. Unlocking intelligence from over 10,000+ brands’ e-receipts and a panel of millions of online shoppers.